Hello everyone. I am baaaack. Yay! I don’t even know where to begin. I was looking at my last post and it was a good 4.5 years ago!!! Well, what can I say except that life got in the way. As a result my tills have been totally neglected the past 4 years. Things have kind of settled these past 6 months and I finally have time to delve into this hobby again. In fact I have even plucked up the courage and made some new purchases to replace the very many tills that succumbed to the elements. I am not kidding when I say I neglected them. They were all left to the mercies of the weather; which basically means the scorching sun, tropical storms, heatwaves and even a cold (by our tropical standard at least) snap, with maybe watering once a week, if that. Those that have made it through are the real hardy ones, and even those show signs of the abuse they have had to withstand. Anyway, I am aiming to put up a post or two a month. Yep that’s right, just one or two a month, as I am trying to be realistic about just how much time I will have to indulge in my hobby now. All right, enough babbling and on to the tills! I thought I’d share some pics of the tills that have made it through the tough times. So, a fairly short post to help me get started again. Enjoy! The plant flowered recently and has two pups now. The whole plant turned an amazing shade of red when in bloom. As you can see it still retains its reddish shade post bloom, but it is no longer at its best now. I guess this plant doesn’t mind being neglected. It is now a nice little clump, this from just a single plant. Imagine what it would look like if it hadn’t been neglected! One of my favourite tills. The pic doesn’t capture its cuteness very well. This plant has flowered regularly during the past 4.5 years. During the most recent flowering the ants have definitely been at work as there’s a seed pod developing now (look just above my thumb on the topmost flower bract). This plant is amazing. It has thrived with low light conditions and being damp for weeks on end. No idea how it did not rot. Am just thankful that it didn’t! I bought this as T. ionantha x T. brachycaulos, but it is most definitely not that. Luckily for me it has turned out even more amazing. A nice hefty plant. Currently post bloom and sporting a single pup. Okay, that’s it for now. Thanks for reading and happy growing everyone! My name is Zeek and I just like to say thank you for your blog. Your sharing and photos served as good references for me back in 2014 when I was a newbie. I’m currently a part of Pick a Plant (Singapore) team, a company that deals mainly with Tillandsia. I’ll like to request permission to share this post on our Facebook page. Nothing beats an honest testimony of how hardy Tillandsia can be in the tropics. Do feel free to share. I can’t tell you the countless hours I used to spend scanning the Pick a Plant website! I was so envious of the wide range of tills available in Singapore compared to here in Malaysia. I still am actually. Thanks. Malaysia Tillandsia community is very strong now. There are many sellers you can look for more exotic plants. You can consider looking for JC Hoo who has a shop at Sunway Velocity Mall, 5th floor Lot 5-03O, 55100 Kuala Lumpur, Malaysia. Yes I am a long time customer of JC from way back when! I also managed to make it to the SGF once. No plans as yet to head to Singapore in the coming months, but will definitely plan a trip to your nursery if I do head down south! Aww thanks. My care conditions are pretty standard as I have limited space to experiment. But glad to see it is of some help! Zeek and minigemm, thanks for mentioned my name there !!!! Glad to hear you’re posting again, your blog was really helpful when I was trying to understand some of the Tillys I got when I first started out. 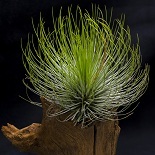 This entry was posted on June 12, 2018 by minigemm in Tillandsia and tagged brachy, brachycaulos, concolor x streptophylla, hybrid, ionantha x caput medusae, loliacea, love knot, Malaysia, offset, offsets, pup, pups, tillandsia.